Per the new Etihad First Class Lounge, Abu Dhabi Web site, there will be no queuing at lounge reception. Instead, passengers are greeted by a hostess just after security, and directed upstairs to the First Class Lounge for a personal introduction to the lounge amenities. Both formal dining from an a la carte menu and casual dining with fresh options from a buffet are offered. Etihad has partnered with Mezlai, the fine dining Emirati restaurant at Emirates Palace, Abu Dhabi, to create a fine dining menu of modern Emirati dishes that use traditional Arabic ingredients. The Six Senses Spa will offer complimentary massage and facial treatments to Etihad First Class Lounge guests. There are 3 treatment rooms and shower facilities. Etihad First Class and Etihad Residence passengers enjoy a complimentary 15 minute treatment, for example a wet shave for men, or a blow out or manicure for women. Fairly unique among even First Class lounges, the new Etihad First Class Lounge offes a fitness room with Technogym equipment, free weights and yoga mats. I'm not sure why more lounges, especially large lounges with multiple shower rooms, don't offer this, since it's probably one of the features passengers would most appreciate. You can eat and drink on the plane, but it's not as if you can work out on a plane. Ok, here's where in my opinion Etihad dropped the ball. I don't know about you, but have you seen more uncomfortable first class lounge “relaxation chairs”? If you're going to have such upright chairs in a relaxation area, at least make them massage chairs. My local nail spa has more comfortable massage chairs for pedicures. Plus, the last thing I'd want to do after either working on my computer or watching in-flight movies is to stare at another screen. What I really crave at a first class lounge is a quiet nap room, with a proper bed or something close to it. Even if Etihad doesn't want to have fully private nap rooms, at least make a quiet area where guests can lie down horizontally and be more comfortable than in an upright chair. While our son is getting a bit old for play rooms, I was still very grateful that one was available, with friendly and professional nanny supervision, on our most recent visit to the Etihad Premium Lounge in Terminal 3. It meant that I was able to enjoy a 15 minute massage in the Six Senses Spa, while my son happily read a book in the Play Room. And for parents with younger kids, even a short break to be able to freshen up with a shower, knowing their child is being well cared for, is a godsend. 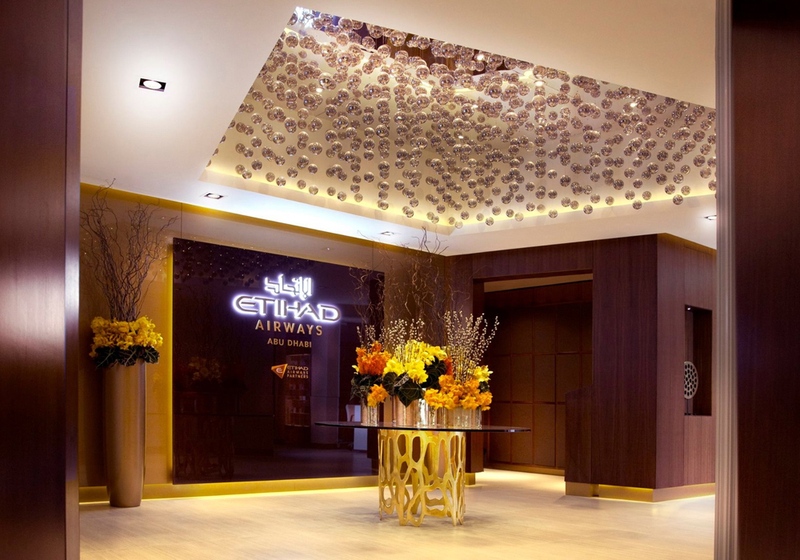 What are the Etihad Abu Dhabi First Class Lounge Hours? Etihad's First Class Lounge in Abu Dhabi is always open, 24-7, which makes sense given that the flights such as Etihad 103 on the A380 depart Abu Dhabi at 3:20am. 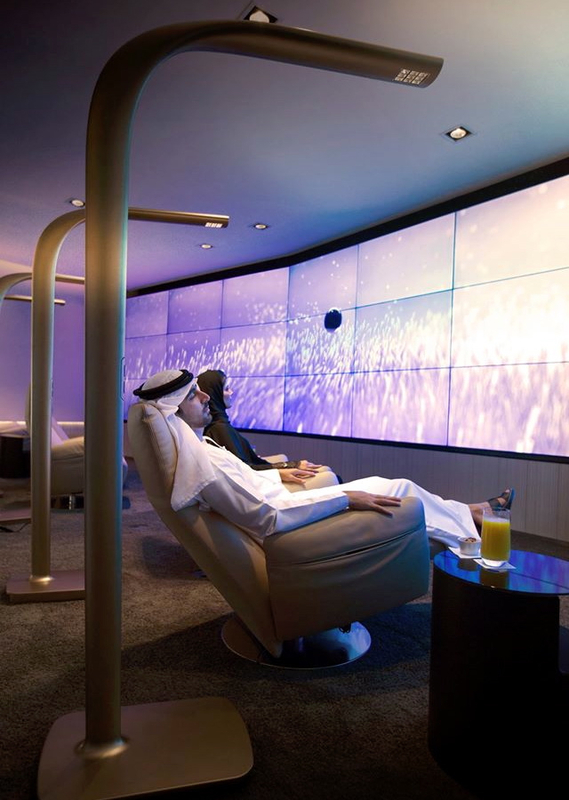 Who Has Access to the Etihad Abu Dhabi First Class Lounge? Can I Access the Etihad Abu Dhabi First Class Lounge on Arrival in Abu Dhabi? No, it's airside past security. There is a separate Etihad Arrivals Lounge in Abu Dhabi to freshen up in for Etihad First Class and Business Class arriving passengers. I'll be reviewing the new Etihad Abu Dhabi First Class Lounge later this year, but in the meantime look forward to any feedback from readers who have visited. 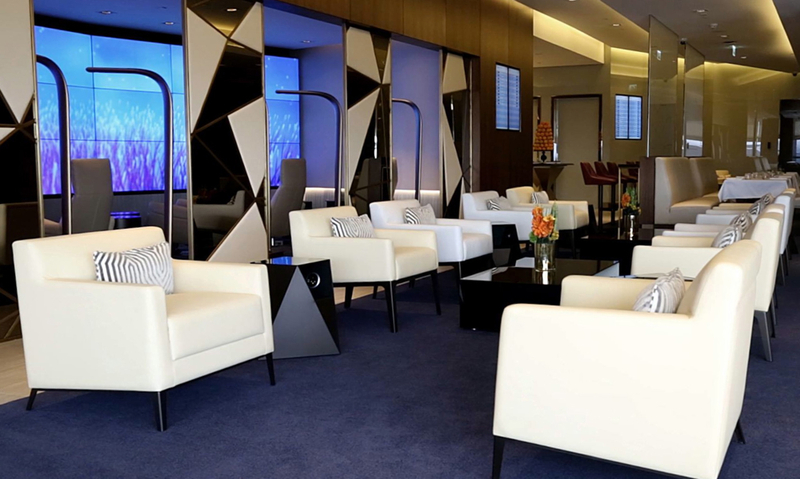 If you've visited the new Etihad Abu Dhabi First Class Lounge, what was your experience?